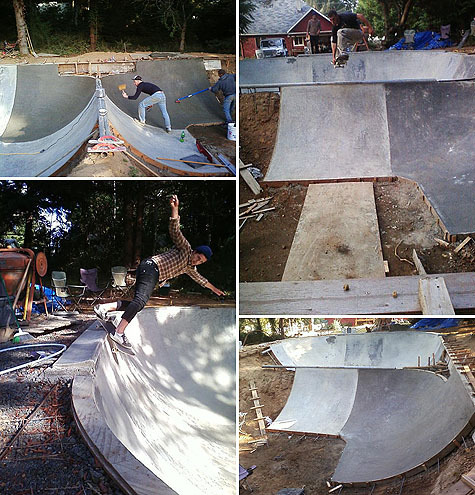 It looks like Tristen and crew are making good progress on his combi-bowl while getting a few sessions in along the way. Hey, GVK, this looks like something you might want in your backyard. Check out more progress pics over on Tristen’s Earth Patrol Network page.